Since 2007, in conjunction with the creation of Dublin's destination brand, the Dublin Convention & Visitors Bureau has honored local businesses, organizations and individuals that have embraced Dublin's destination brand and slogan - Irish is an Attitude. The Bureau launched Dublin’s new destination brand in January, 2007 in an effort to raise awareness with the traveling public by positioning the city as a unique and desirable destination for leisure, business, athletic and group travel. The DCVB logo and positioning line, Irish is an Attitude, makes use of the “Irish” equity that exists in the Dublin name and promotes the idea that you don’t have to be Irish to enjoy Irish fun. Throughout the years several Dublin businesses have promoted the destination brand to their customers and have integrated Dublin's brand into their operations. 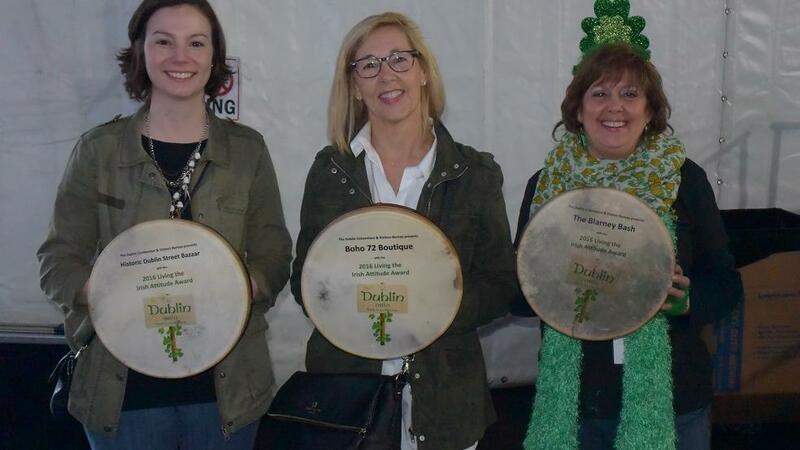 You can identify past winners by the bodhran drum awards that many recipients display in their businesses.